Ferric snap on bead filter effective over frequency ranges specific to solar installations including PV solar arrays, inverters, optimizers, combiners and network related control devices. Effectively suppresses Radio Frequency Interference under 300 MHz. Use for solar installations of AC, DC, data and Ethernet cables for reducing common mode currents creating interference in electronic devices. Two separate halves, bind together with cable ties or heat shrink. Typical use for large bundles of positive/negative wire where diameter of all cables is < 1.5"
THE RFI KIT FILTERS ONLY SUPPRESS COMMON MODE CURRENT (SIGNALS) THAT ARE COMMON TO ALL WIRES IN THE CABLE, AND DOES NOT EFFECT INDIVIDUAL DIFFERENTIAL SIGNALS ON EACH WIRE. THE FILTERS HAVE NO EFFECT ON THE NORMAL SIGNALS CARRIED WITHIN THE CABLE. Wall Wart switching DC power supplies that plug into the AC power line plug and provide DC power to laptops, routers, battery chargers, cell phone chargers, etc are a known source of broadband RFI (a.k.a dirty electricity) that effects many electrical devices including computers, radio receivers, HDTV systems, etc. In many cases this extra RFI noise effects computer I/O speeds since they have to error correct the information packets many more times due to the noise interference causing packet errors. 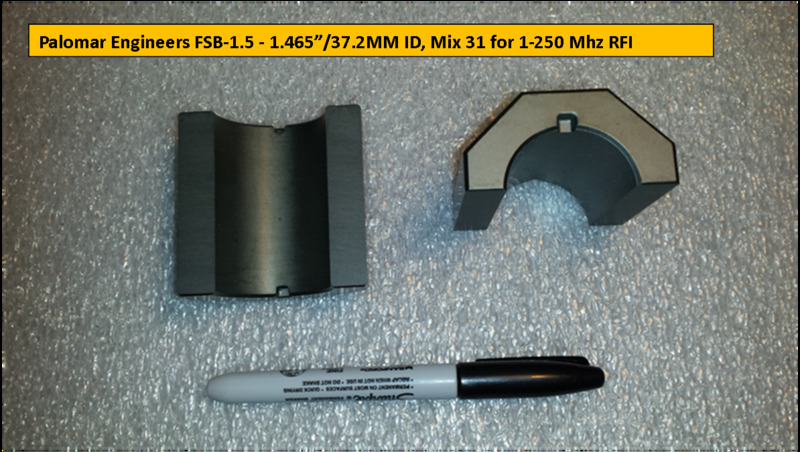 A ferrite ring can often increase data throughput by reducing the error correction to normal rates. A simple ferrite ring filter on the DC power line can help suppress the RFI noise affecting the victim device or keep the DC power cord from acting as an antenna and radiating RFI into other victim devices. This kit is also useful on laptop computer supplies, routers, cable modems, wireless phone charges, etc. The filter suppresses RFI in from .1-100 MHz. Inside diameter is 3/4 inch/19 mm. Since most households and office environments have multiple wall warts we offer the Wall Wart RFI Filter kit in bulk quantity packages. 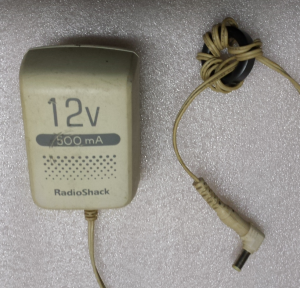 using the AC or DC side of the power supply as a radiating antenna.